The Hon. 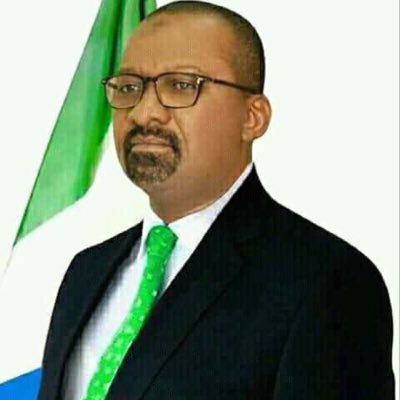 Vice President Dr. Mohamed Juldeh Jalloh (in photo) on Wednesday 29th August, 2018 commissioned the country’s first national emergency depot in Macdonald, Western Rural District, Freetown. Vice President Jalloh said, the construction of the first National Emergency Depot (Warehouse) is a huge step in supplementing government’s effort in responding to emergencies in the country. The support he said came in handy and that, it will go a long way to strengthen preparedness capacities, particularly when the government of His Excellency President Julius Maada Bio is working towards establishing a National Disaster Preparedness and response Agency that will be charged with the responsibility to address emergencies. Vice President Dr. Mohamed Juldeh Jalloh furthered that, a frequent lurid in every emergency is the acquisition, management and distribution of relief supplies to affected population adding that, any delay along the supply of relief items to the affected victims as a result of delay in transportation and lack of storage facilities will lead to the deterioration of products. As a Government, VP Jalloh said they a working they are working on a policy framework towards reducing disasters. These he pointed out were the establishment of a multi-stakeholder coordination forum that will address all issues of disaster, development of disaster preparedness and response plan and the establishment of structures across the board nationwide. He however assured the Government of Japan and IOM that the Government of Sierra Leone and it people will make the best use of the facility and that they are looking forward to working with them and other development partners in order to build a strong national preparedness capacity to respond to disasters and emergencies.